It’s been…a very long time since we posted. To be fair a lot has happened. Most notably, we got pregnant and now have another little one running around. Well, maybe not running yet, but you get the idea. But with Thanksgiving around the corner, it’s time we brushed off the computer and shared some thoughts about how to be a thoughtful guest at Turkey Day. If you’ve been invited somewhere for dinner, the first question you should ask is “what can I bring?” A good guest never shows up empty handed, especially at Thanksgiving. 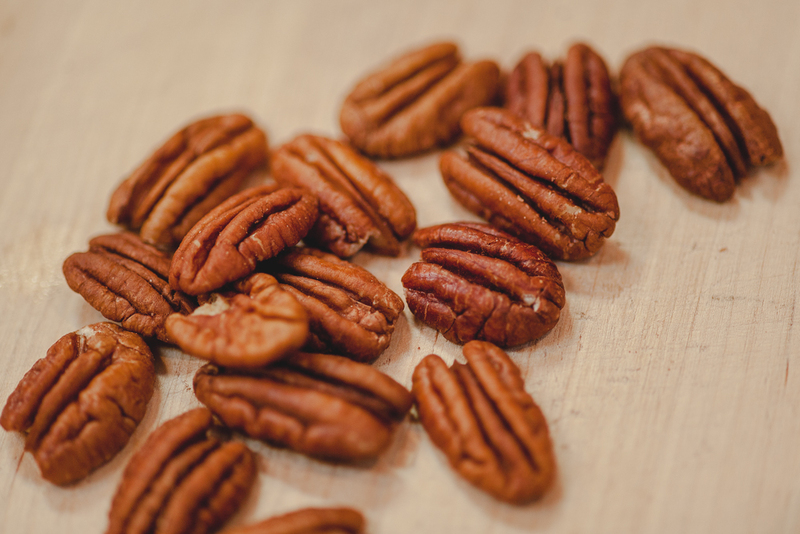 Your options are many, but an appetizer, side dish or dessert are all safe bets. 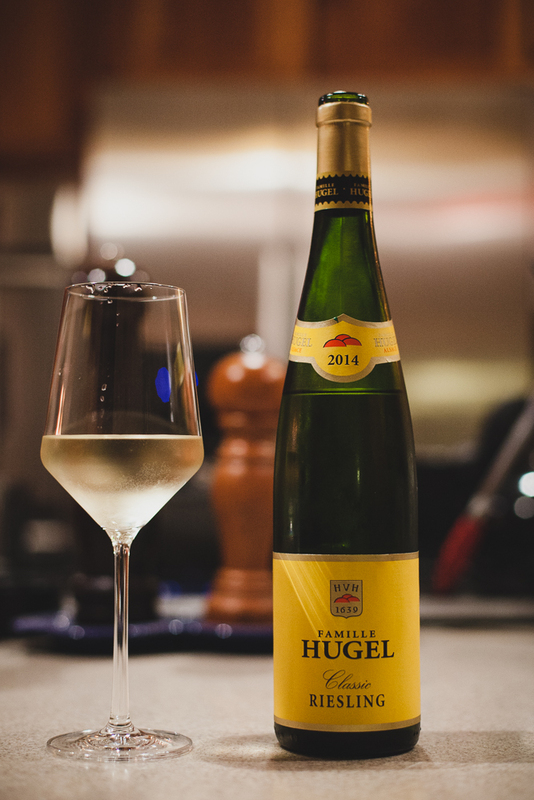 Add something tasty to drink, and youʼll be a guest whoʼs going to get invited back again. For an appetizer, you want something that people can eat with their hands and ideally requires nothing more than a few minutes in the oven to heat up. 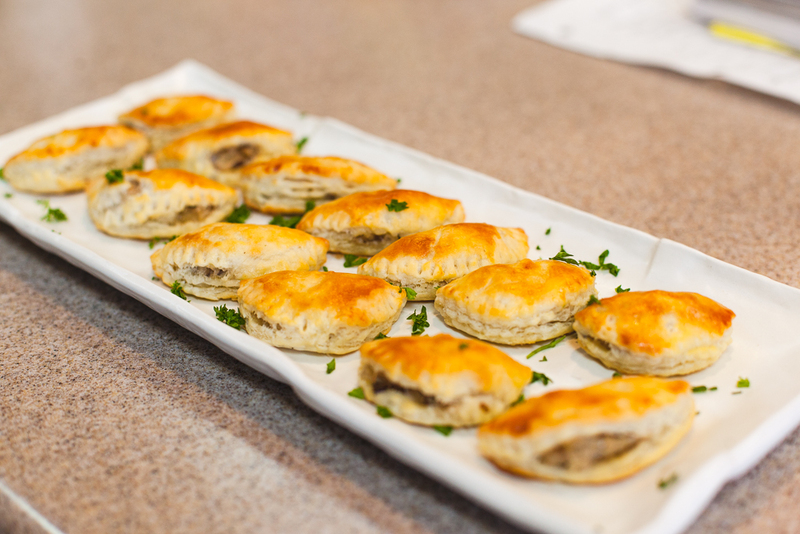 Our go to is something we call “Mushroom Goodness.” With pastry made from cream cheese and stuffed with sautéed mushrooms, they are a bit of work to put together, but once done, they heat up in minutes and are always a hit. Weʼve reached the point where we always make a double batch, just so we can stick some in the freezer for a rainy day. 1/2 lb. 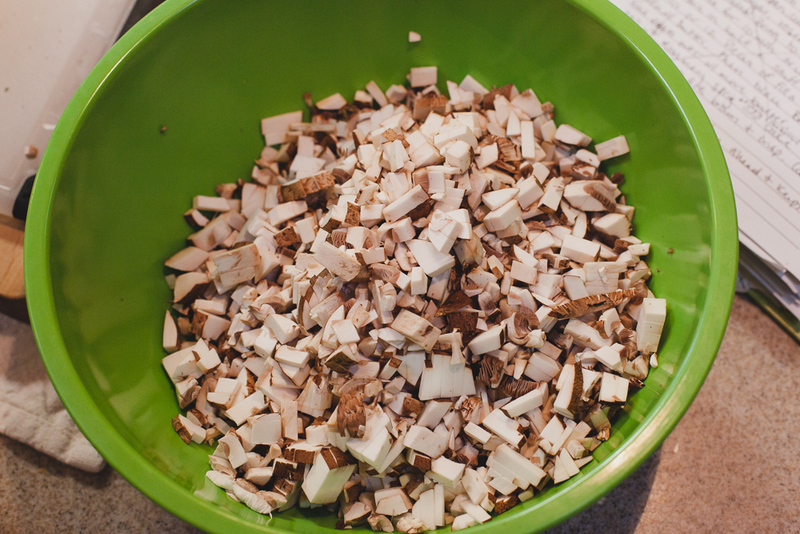 fresh mixed mushrooms finely chopped (can be any varieties, but we usually use a mix of cremini, button and shiitake, sometimes adding in other varieties when available). 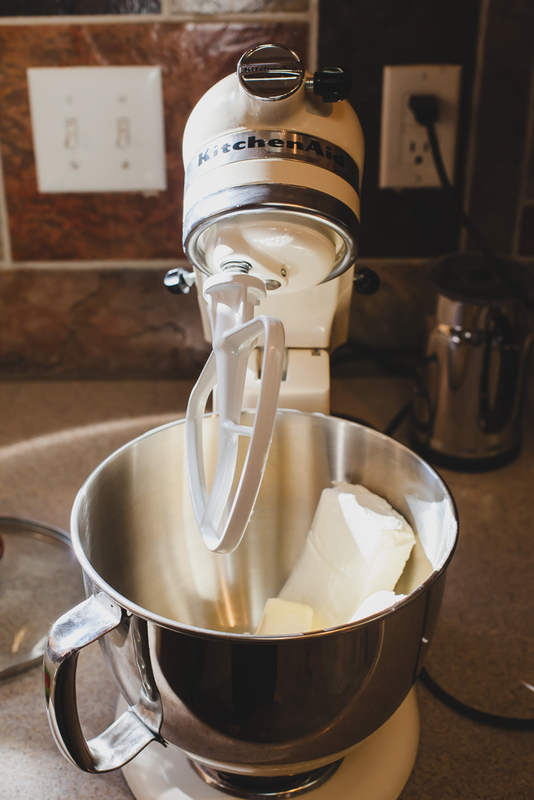 For the pastry dough, mix the cream cheese and butter thoroughly. Add flour and salt, work until smooth. Chill well, at least 30 minutes. For the filling, in a large skillet, melt butter over medium heat. 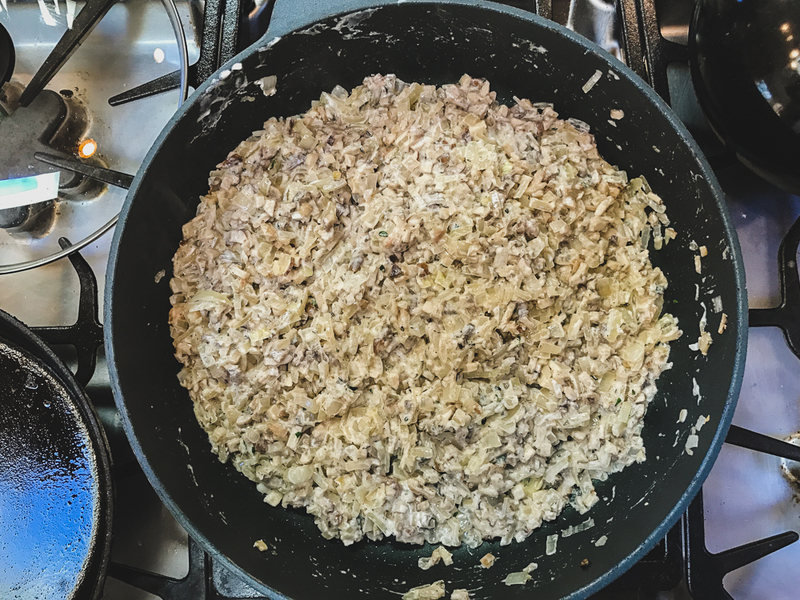 Add onion and cook until lightly browned. Add mushrooms and cook, stirring often, about 3-5 minutes. Add seasonings and sprinkle lightly with flour. Stir in sour cream and cook until thick. Pre-heat the oven to 425 degrees. 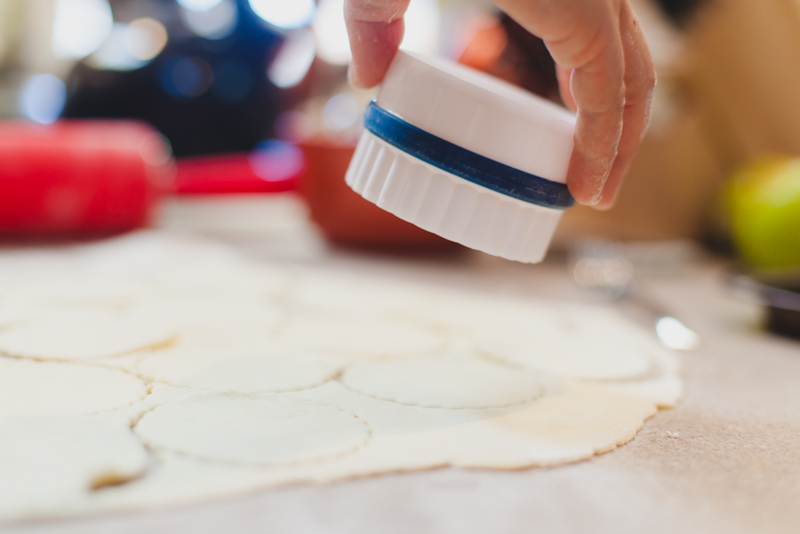 Roll dough into 1/8″ thickness on a lightly floured surface and cut into rounds with a 3″ biscuit cutter. 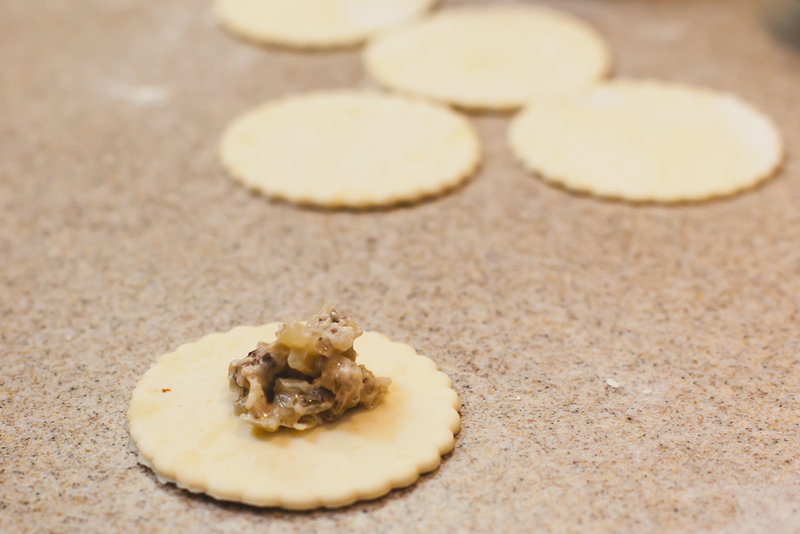 Add about 1 teaspoon of filling to each round and fold over. 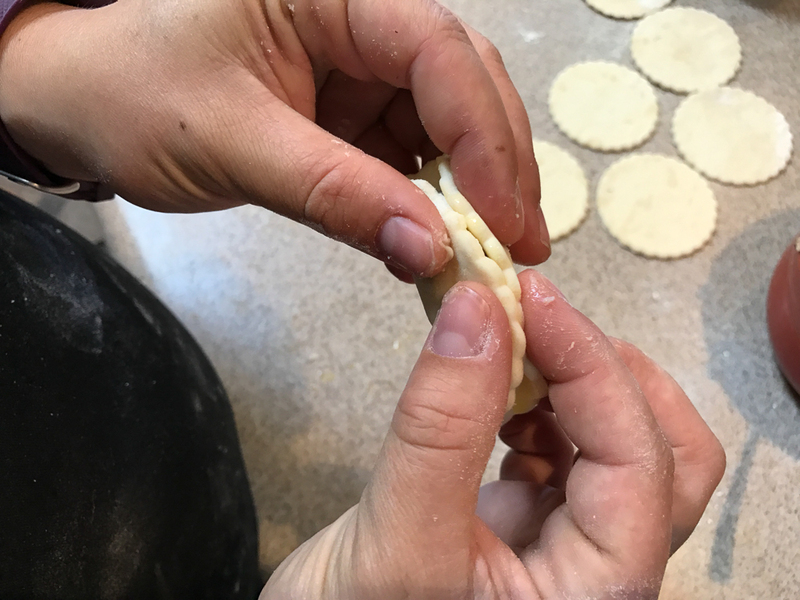 Pinch with fingers, then press edges together with a fork. Do not overfill. Pinch the top slightly to make a little fin. Brush tops with egg/milk wash. Bake 10-15 or until lightly browned. Optionally, freeze uncooked on a cookie sheet and transfer to ziplock for baking later. 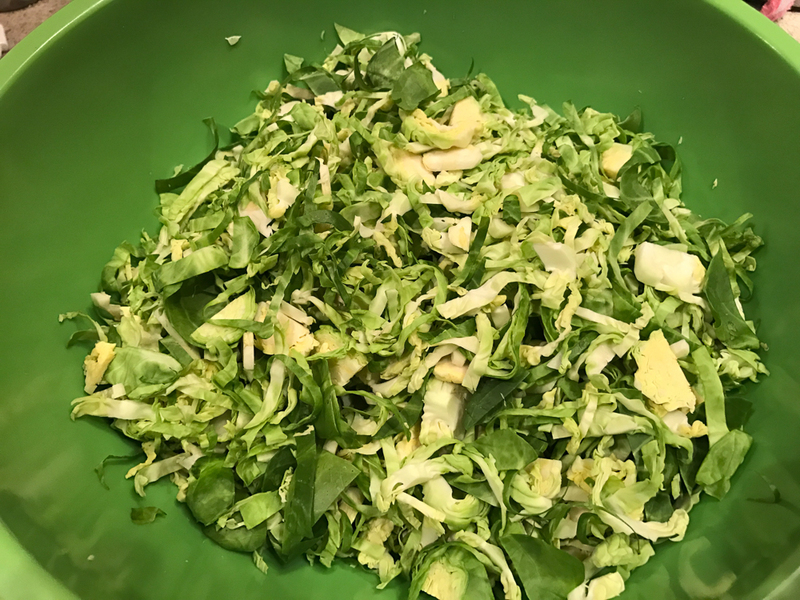 Brussels sprouts have been all the rage for awhile now, so when youʼre looking for a side dish, youʼre likely to win points with this one. 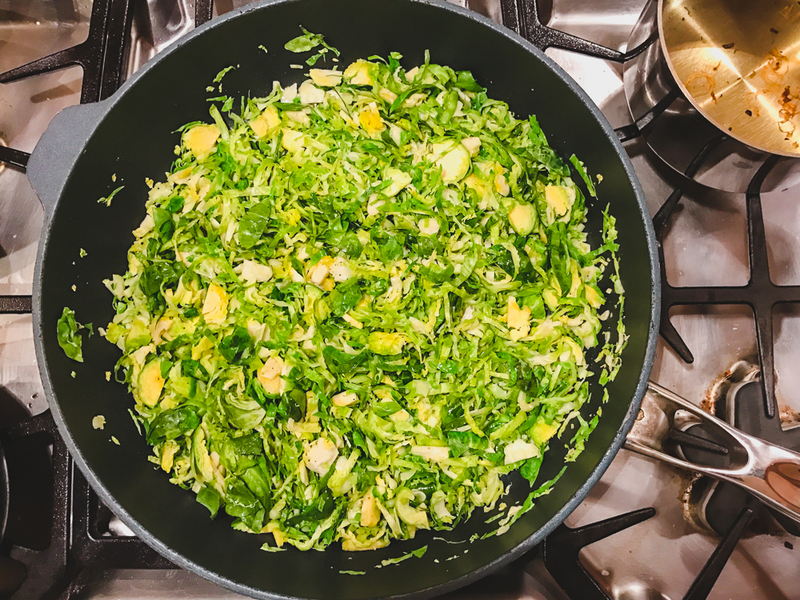 One of our favorite ways to prepare them is to slice them thin, sauté them with some wine and top them with fried shallots. 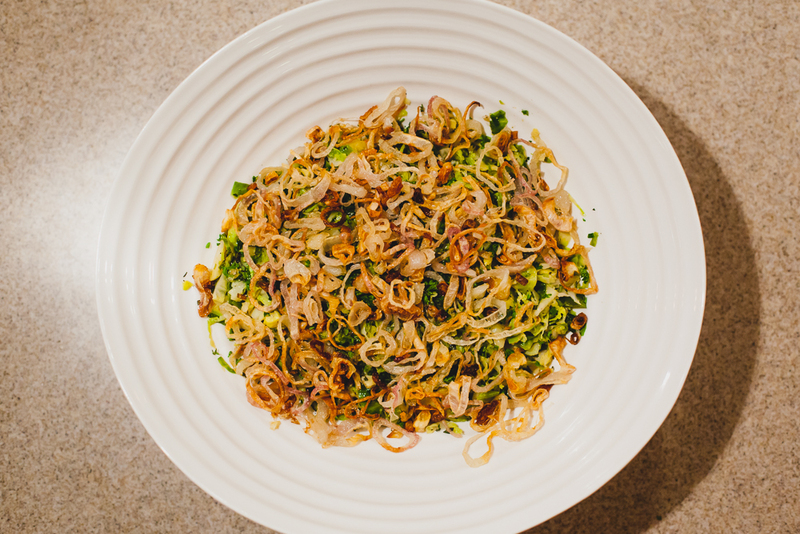 The shallots take a little extra effort, but they add a salty crunch factor that will get people thanking you for bringing them to the table. 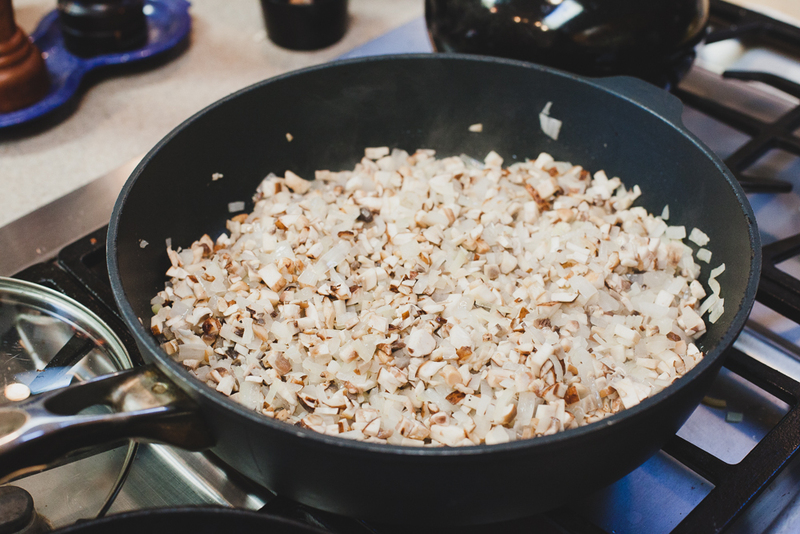 Arrange a double layer of paper towels onto a large plate for draining the shallots. Pour 1 inch of oil into a medium sized saucepan. Heat over medium-high heat until oil reaches 350 degrees. You want a deep pan, with shallow oil to limit oil boiling over while frying. 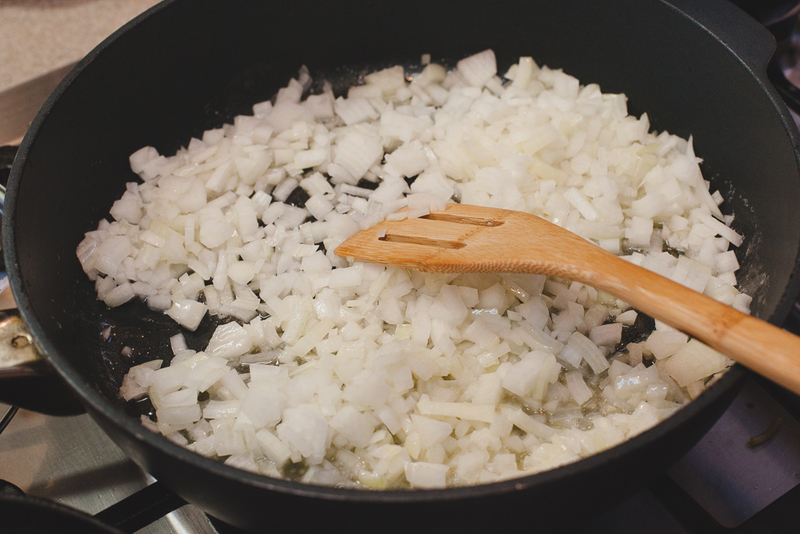 Add a few handfuls of shallots to the oil and fry, stirring constantly with a slotted metal spoon until they brown. Drain on paper towels, salt generously. 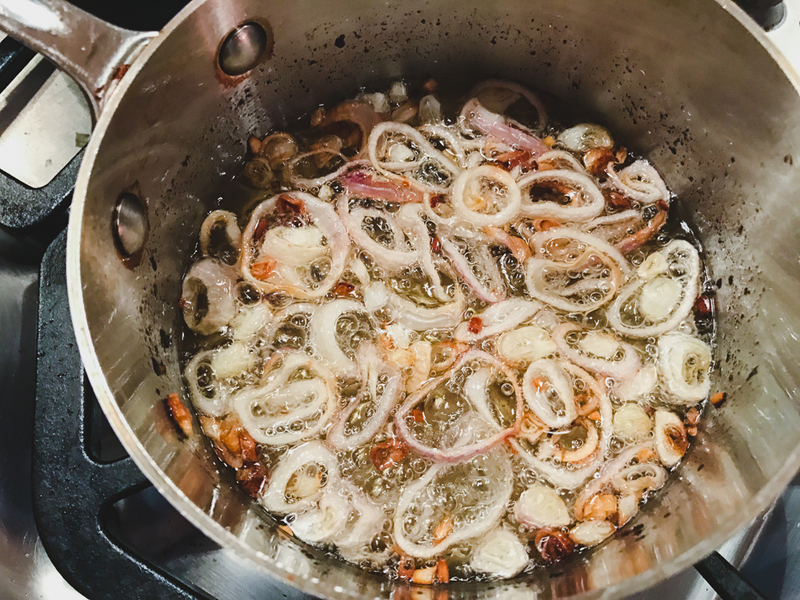 Repeat until all shallots have been fried. Trim off the stem end and cut in half. With the flat side down, slice about 1/16-inch thick at the core end, and wider at the leaf end. Heat olive oil in the skillet until hot (medium high heat). Oil should be shimmering, but not smoking. Add sprouts and toss. Season with salt and pepper and cook for a few minutes, then reduce heat to medium and cook until they wilt and brown, about 3-5 minutes. Add garlic and stir for a minute until fragrant. Add stock and wine and cook until sprouts are tender and liquid has evaporated, another 3-5 minutes. Remove from heat and toss with butter and half the herbs. 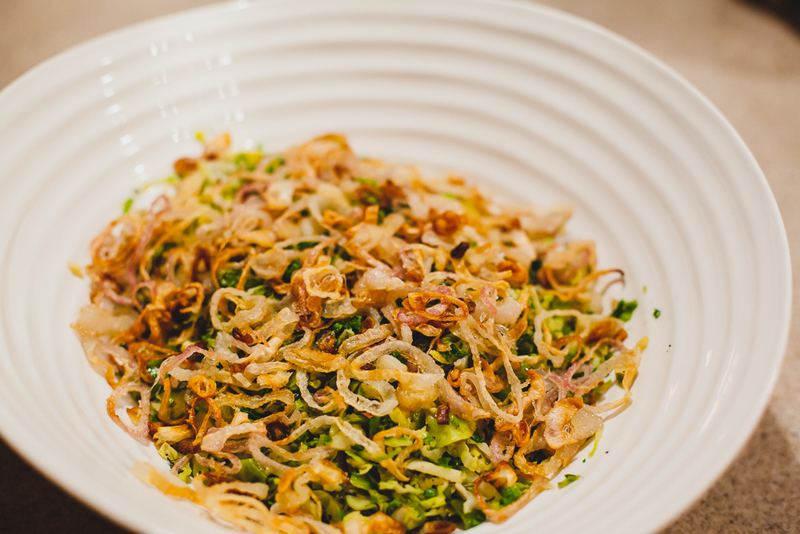 Put into a serving dish, top withcrispy shallots and remainder of herbs sprinkled on top. 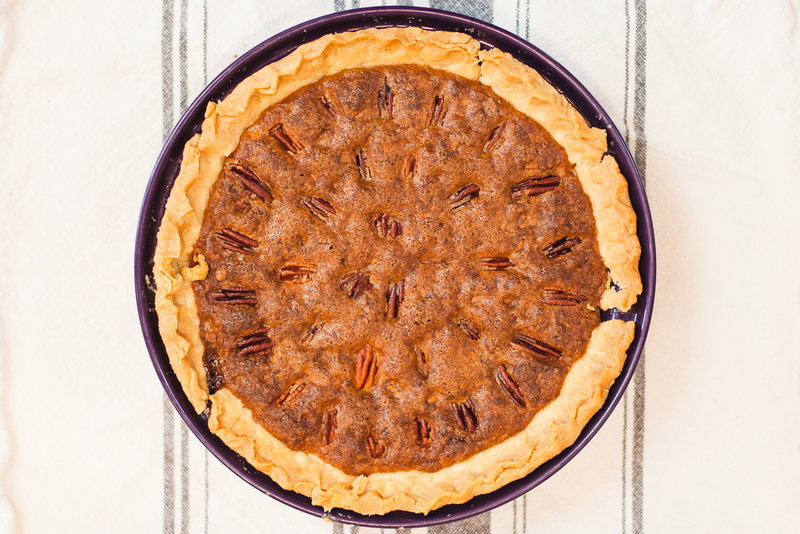 Probably the most asked for Thanksgiving dessert is to “bring a pie.” That leaves you with plenty of options, but Iʼm going to recommend you skip the easy pumpkin pie in favor of something more crowd pleasing: Bourbon Pecan Pie. Right from the first word youʼre going to win people over, especially if you bring along some bourbon to go with it. But weʼll get to that in a minute. 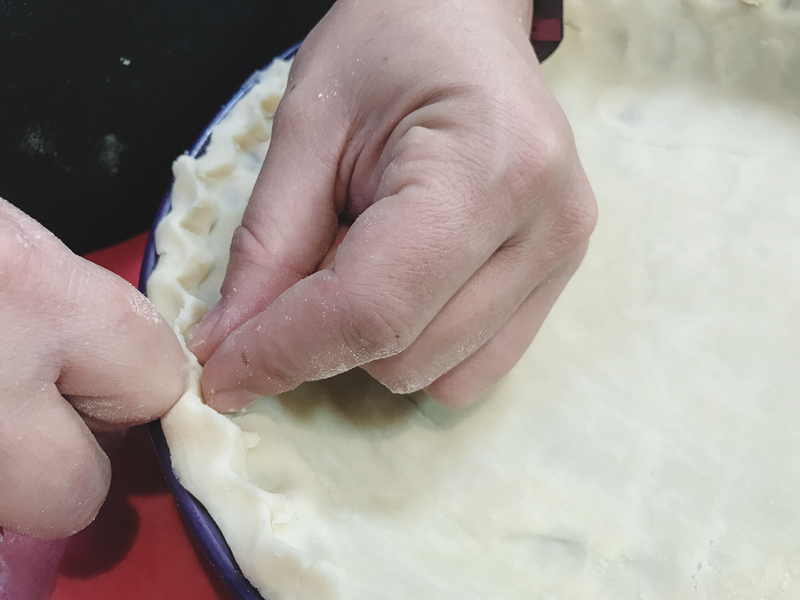 For starters, make your life easier and get boxed pie crust. Itʼs as good as homemade, and is practically full proof. 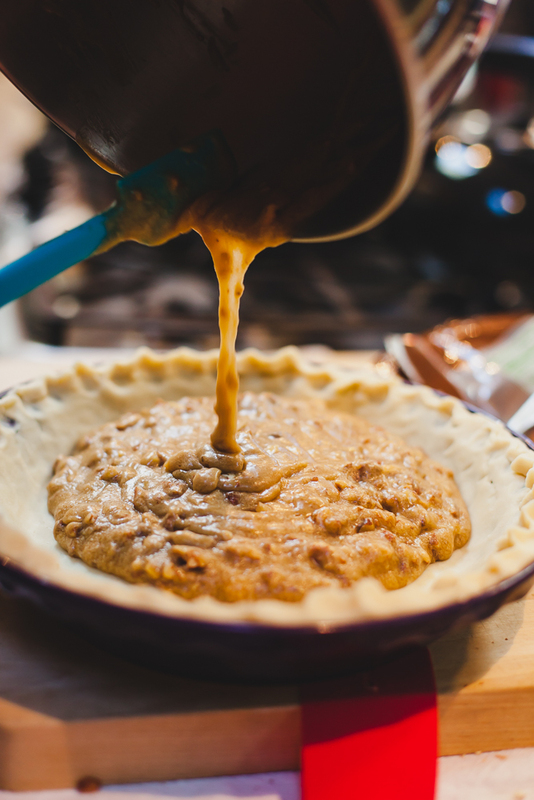 The rest of the pie is almost as easy, but looks (and tastes) impressive. In a large mixing bowl, beat eggs until foamy and stir in melted butter. Stir in the brown sugar, white sugar and flower. Mix well. 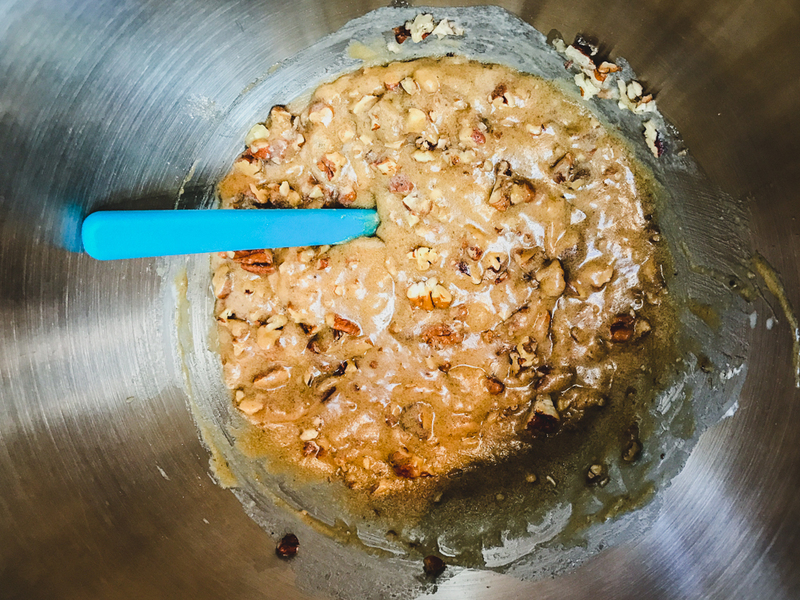 Last add milk, bourbon (or vanilla) and chopped pecans. 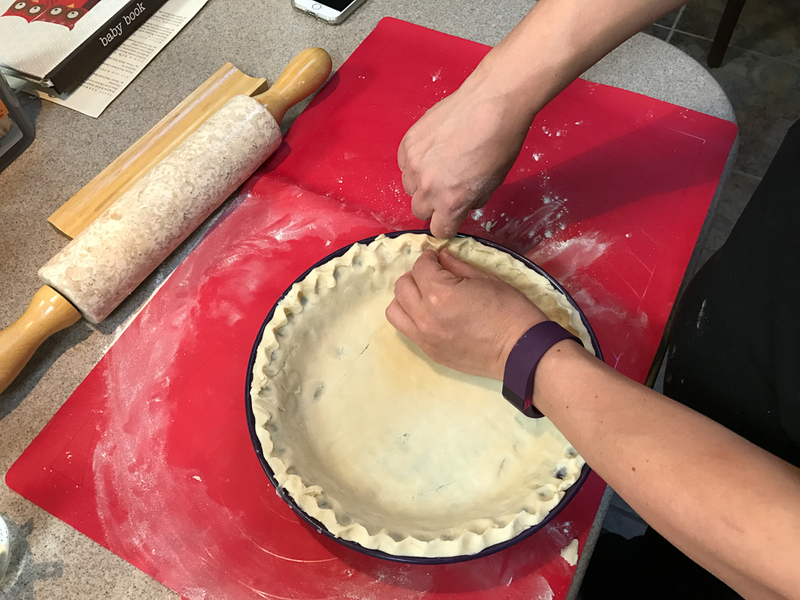 Pour into and unbaked, 9″ pie shell. 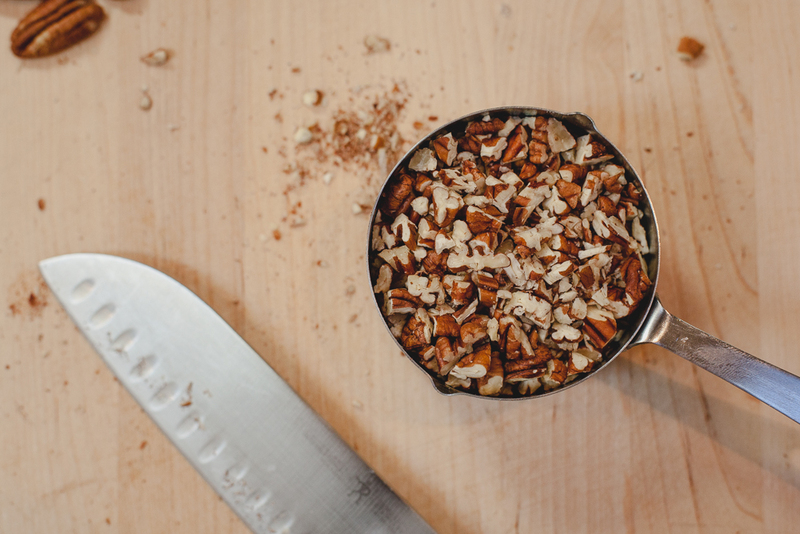 Top with whole pecans in a decorative pattern. Bake for 10 minutes at 400 degrees, then reduce hit to 350 degrees for 30 to 40 minutes or until done. Serve warm, with bourbon whipped cream or vanilla ice cream (or, if you’re like Doug, both). 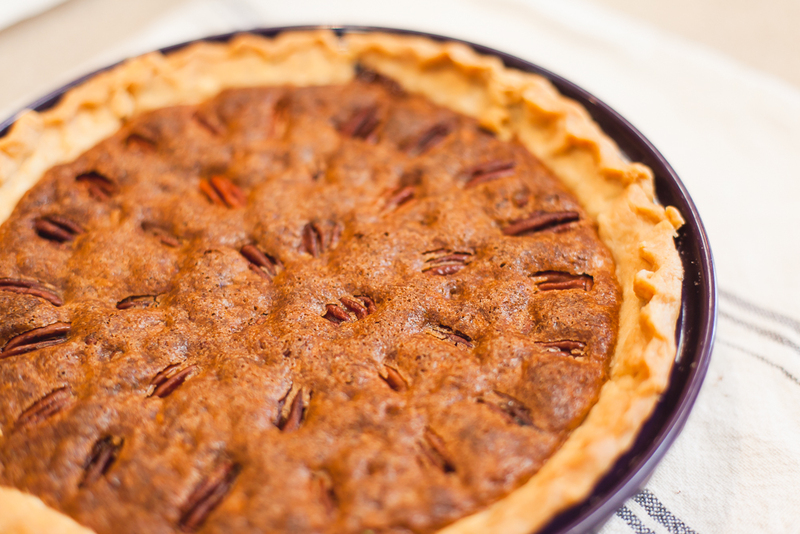 Speaking of bourbon, if you decide to bring pie, consider bringing a bottled cocktail along to go with it. Bottled cocktails are perfect, because you donʼt have to rely on your hostʼs liquor cabinet, and with the work done ahead of time, all you have to do is pour. A bottled Manhattan could just as easily start the night as pair with the pie you brought, so you might want to bring two bottles. Here’s my own spin on a Perfect Manhattan, the addition of Amaretto adds a nice sweetness that makes it more approachable to whiskey newbies. Mix well and put into a sealable container (could be anything from a mason jar, to an empty liquor bottle). Put into the refrigerator and chill well for at least 4 hours. Before pouring, shake again to combine and pour into 4 cocktail glasses. 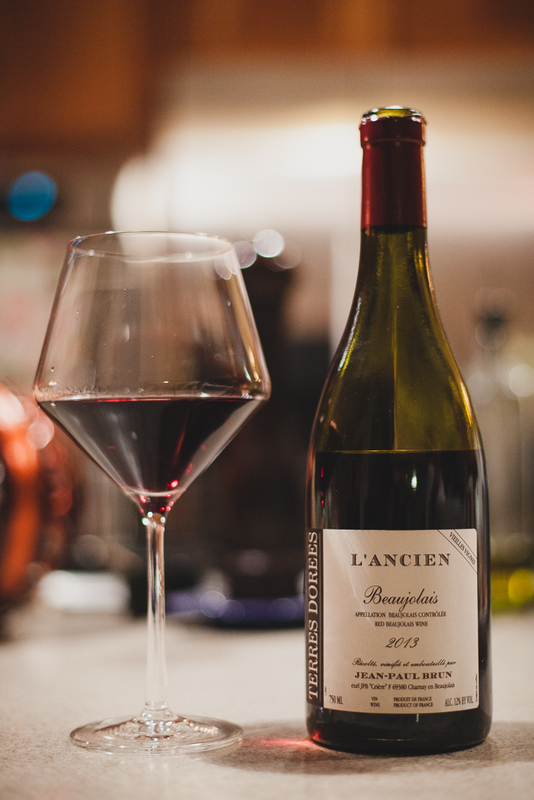 Top each with a Bordeaux cherry or a twist. Whichever way you go, you’re sure to be the type of guest who will be invited back next year (and hopefully a few times in between). 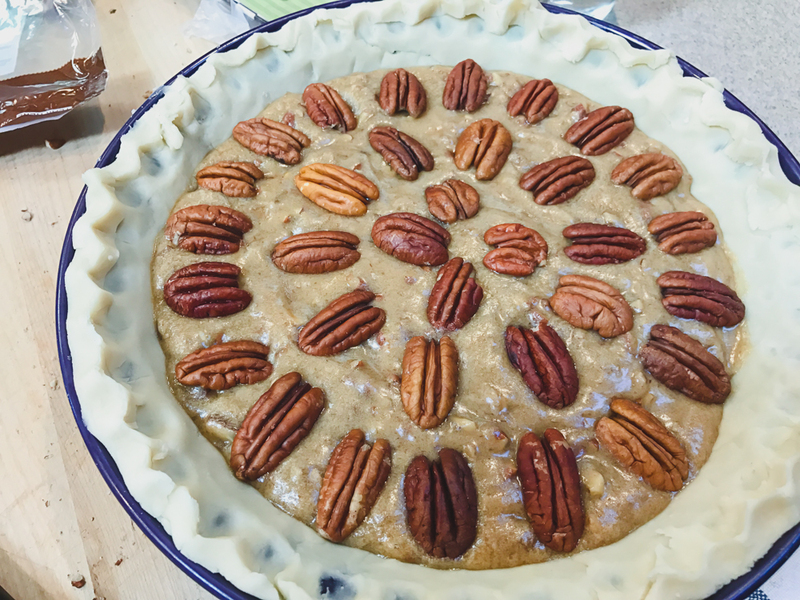 This entry was posted in DRINKS, EATS and tagged appetizers, brussels sprouts, dessert, drinks, guest, mushroom, pecan, pie, Thanksgiving, wine. Bookmark the permalink.